I would like to share one of our birthday traditions with you today. 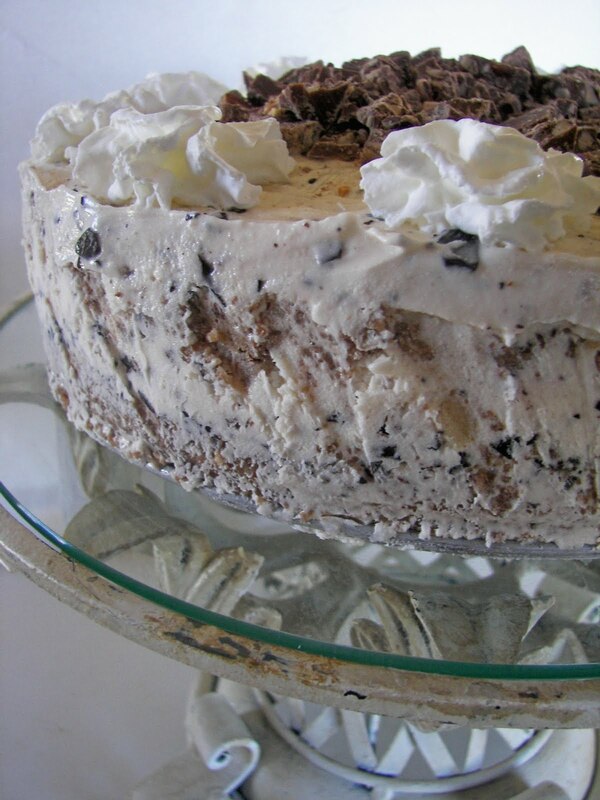 This is the ice cream torte that I have been making for our family birthdays for years. 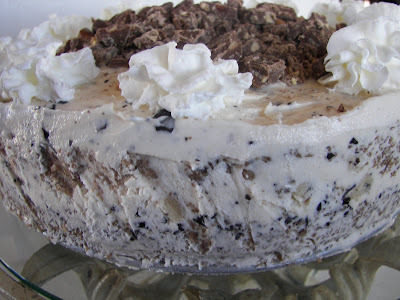 I can safely say that I have made at least fifty ice cream tortes and most likely more! I initially made this for a graduation party when my husband was receiving his Master's in Engineering -- that was fourteen years ago. Somehow, this recipe became the cake we make for birthdays. This recipe has been adapted from a Sunset magazine from the 1990's. Recently, I served this Birthday Torte for my son's 16th birthday. It served six adults and seven children and there were leftovers. It is easy to make, but you need to allow time for the ice cream to refreeze. Use whatever flavor of ice cream and candy bars you like. For one of my daughter's birthdays, we used sherbet and Skittles, instead of candy bars; the girls at the party loved it! Don't forget! This is the last week for my giveaway. Just click on the kiwi Le Creuset dishes on the left corner of my blog. 2 (1.75 quarts) of good quality ice cream -- We used cookie dough ice cream. 1 cup thick hot fudge sauce -- Do NOT use Hershey's syrup. 1 large candy bar -- This is NOT the individual-sized bar. We used a Symphony bar. 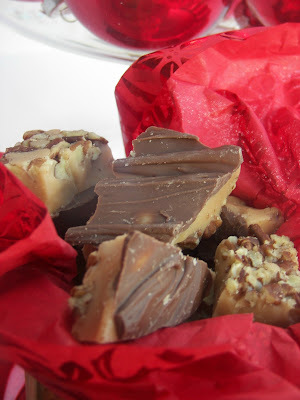 We also like Reeses or Skor bars. Place ice cream containers on counter to begin to soften. Then make crust by putting the butter, vanilla, brown sugar, flour, chocolate chips, and nuts in a medium mixing bowl and combining until thoroughly mixed. Press mixture in a 9-inch square pan and bake at 350 degrees for about 15 to 20 minutes or until lightly browned. 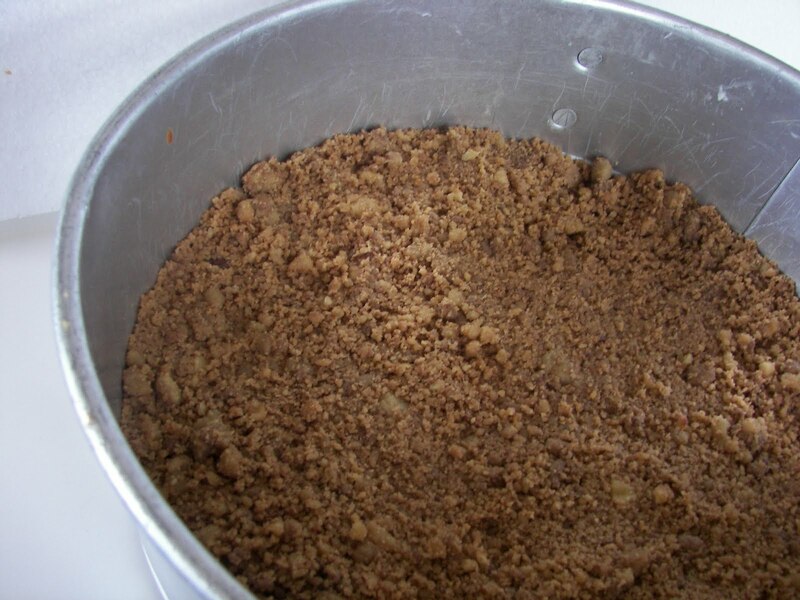 Cool mixture then put in food processor and blend until the mixture is in crumbs. Press about 1/2 of crumbs in the bottom and sides (about 1/2 to 1 inch up the sides) of a 9-inch springform pan and set aside. Crumbs in the bottom of a springform pan. 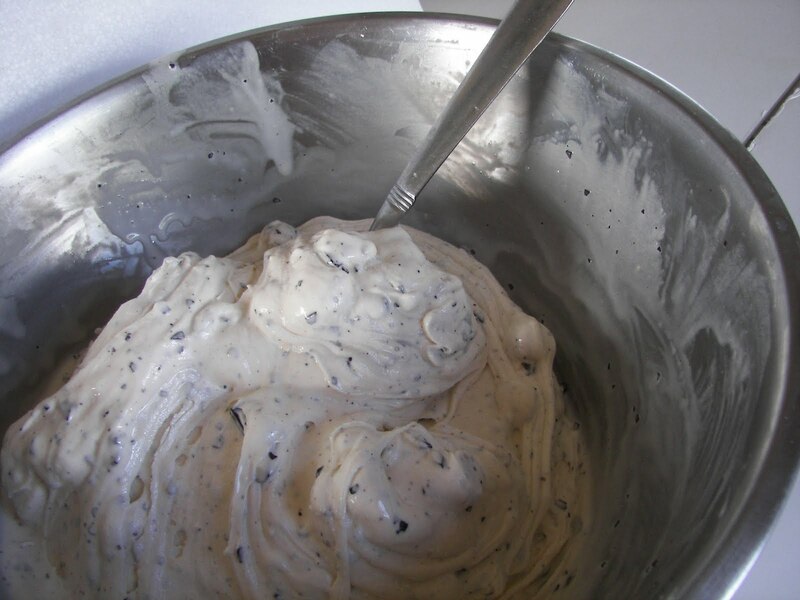 Place both containers of softened ice cream in a bowl and stir until ice cream is completely combined and until you can stir through the ice cream. This takes a little muscle power. Do NOT allow ice cream to become soupy. Spread 1/2 of ice cream on top of bottom crumbs and then spoon hot fudge topping over ice cream. Spread remaining crumbs over hot fudge sauce. Waiting for the remaining ice cream to be spread on top. 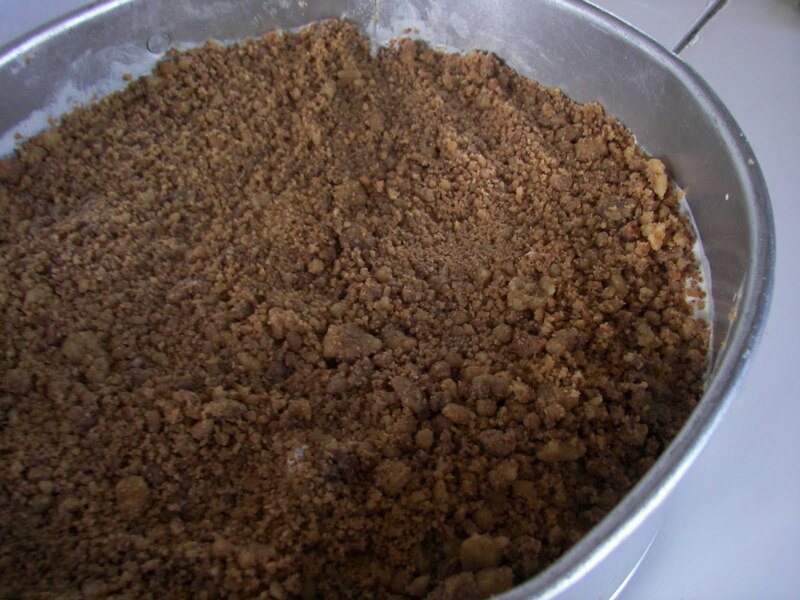 Then spread remaining half of ice cream on top of middle crumbs and smooth. Sprinkle crushed candy bar pieces on top. Decorate with whipped cream. Freeze for at least six hours. I am posting this with Made By You Mondays at Skip to My Lou and The Girl Creative Just Something I Whipped Up. I am also posting this at Sumo's Sweet Stuff Market Yourself Monday and Making the World Cuter. 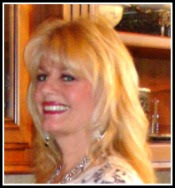 My Mom's birthday is next weekend! This will be perfect! Oh my...this looks wonderful. Not sure I'd like the sherbet/skittles combo...but the chocolate variety is perfect! I can't believe you posted this today - my birthday, and the first time I've ever had an ice cream cake. It was delicious - from my daughter. 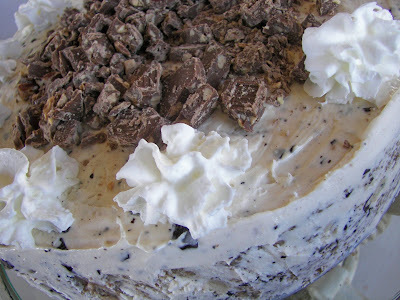 Now I'm hooked on ice cream cakes and will have to try this one. This looks like an easy, versatile cake. So good for upcoming summer events.